In 2007, a passion to help less privileged children in Uganda gave birth to our 501 (c) 3 organization, Tusubira-We Have Hope. In 2010, that passion was reaffirmed to support secondary education for youth in rural eastern Uganda. Through time, you have stayed with us, followed and supported our work on scholarships and last Sunday, April 15th, you came through for us in a major way by attending our annual social event. 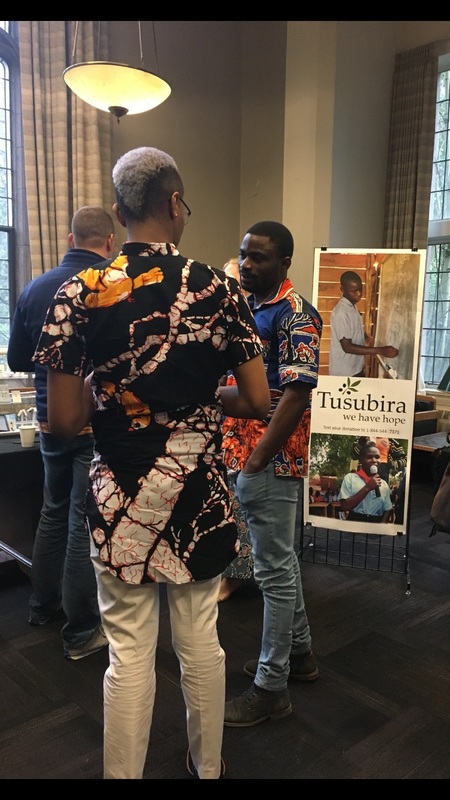 The event was focused on sharing with you our secondary school project embodied in YANA Community High School, which is a step higher, providing secondary education and vocational training to more youth in a rural village of Uganda. We are proud of the work we do and the support you gave us last Sunday which resulted in raising $1925 in one evening with additional pledges to participate in our Give Big campaign, sponsored by the Seattle Foundation April 26th through May 9th. This is a great opportunity to have your donation matched with an additional $5,000 in potential funding. Tusubira-We Have Hope is able to make this mission possible with thanks to the support of our friends, family and colleagues like you. For this we and the children at YANA Community School are eternally grateful. We recognize your desire to hear more about our programs and the stories of the youth who your funds positively impact. We shall therefore ensure to keep you informed of the progress of the school and our other community development projects through our quarterly newsletters and then see you again to celebrate at our next social event. Thank you so much for attending our event last Sunday.